Within “Designed Cooperation” (God’s design for families to be the primary spiritual leaders and disciplers of their students while the church assists and extends that ministry) there is a “part B” to the CONNECT level of God’s purpose. According to the great commission it is God’s will that student’s be CONNECTED to God through salvation, and that as a result of salvation they be CONNECTED to others through genuine relationships. This level of CONNECTION is most often called “fellowship” and is derived from Jesus’ command, “baptizing them in the name of the Father and of the Son and of the Holy Spirit” (Matthew 28:19b). Baptism is the first act of obedience that a Christian should engage in after salvation, which acts as a physical and visible testimony of salvation and brings one into “fellowship” with the church (Christians). Being CONNECTED to others, or “fellowship,” is to have a “bond of common purpose and devotion that binds Christians together and to Christ.” (Holman Bible Dictionary, Holman Bible Publishers, 1991, p.482). That bond of common purpose is nothing less than worshipping God and enjoying Him forever, starting with following His commands and will during this lifetime. At the onset of the church being established and after several thousand had been saved, we find Christians in the book of Acts (2:41-47) engaging in this purpose of CONNECTION. They did so by holding things in common, giving to one another as any had need, meeting together in the temple complex, eating meals together in one another’s homes, maintaining a joyful attitude and praising God together, and conveying the gospel to others so that people were constantly trusting in Jesus Christ for salvation and being CONNECTED to other believers through genuine relationships by being welcomed into the fellowship of Christians, the church. In essence CONNECTING is “doing life together” with other Christians. Perhaps not every minute of every day, but regularly and as often as possible. CONNECTING is absolutely vital for every Christian. This CONNECTION should first take place in the context of one’s immediate family. 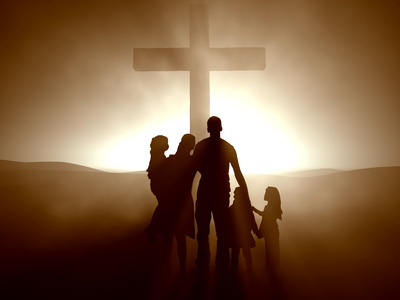 Christian families ought to engage in and be described by the very actions of Acts 2:41-47. Additionally, it is especially important that families and churches work together to provide opportunities for students to CONNECT with others through genuine relationships. To begin with, almost every church I know of offers a small group Bible study program. At First Baptist O’Fallon, we call our small group Bible study program “LIFE Groups” and aim for a two-fold result: 1) That the Bible be engaged through study and application, and 2) that each group provide a safe and consistent atmosphere in which students can CONNECT with others through genuine relationships. This is accomplished through students being placed into age and gender based small groups where they are led by an adult “shepherd” that engages the group in discussing and doing life together both during regular meeting time and during gatherings and events outside of meeting time. In addition, students can CONNECT with others through junior and senior high worship gatherings, as well as special events like DiscipleNOW weekend, summer mission camp, and a fall retreat which are all geared towards engaging students in settings that encourage and foster CONNECTION with others through genuine relationships. Like any relationship, engaging in any of these opportunities in hopes of establishing CONNECTION with others requires effort from all parties involved. Just because a student tries a program or special event once and does not “hit if off” from the start, that is no excuse to cease putting forth effort to make CONNECTIONS with others. It is God’s design and purpose that we CONNECT with others, and when sinful human beings are involved, we can be assured that patience, endurance, and effort will be required. Parents/guardians must utilize their God-given authority by brining students to church each week. Weekend getaways, sports and clubs and squads and other teams, tiredness, the weather, laziness, bad attitudes, etc. can all become regular excuses for not going to church. However, parents/guardians must ensure that their family is in church each week. Parents/guardians must insist that their students engage in church-provided opportunities to CONNECT with others. Again, you have a God-given authority to steer your students through this part of their lives. Combat rebuttal and direct your students to engage in CONNECT opportunities. Perhaps your students will fail to CONNECT as a result of a bad attitude or lack of effort, but do not let them fail to CONNECT due to lack of your steering them to do so. Parents/guardians must set the example. More than likely, your students will reflect your spiritual temperature. Not always, but most often. If you are not part of a LIFE Group, do not expect your students to be part. If you are not CONNECTING with others through opportunities provided by the church, do not expect your students to. You must set the example by CONNECTING first of all within your family, then through opportunities provided by the church. CONNECTING with others through genuine relationships is a life-long process. However, from this day forward there are significant ways through which families and the church can partner in hopes of fostering such CONNECTION. The church must continually work hard to provide opportunities while families must engage CONNECTION within their own homes and then ensure that their students engage opportunities through the church.